First of all I am so excited to be participating in this fabulous event, as I love these stamps, the images are so fun, I just love creating pretty cards with them. 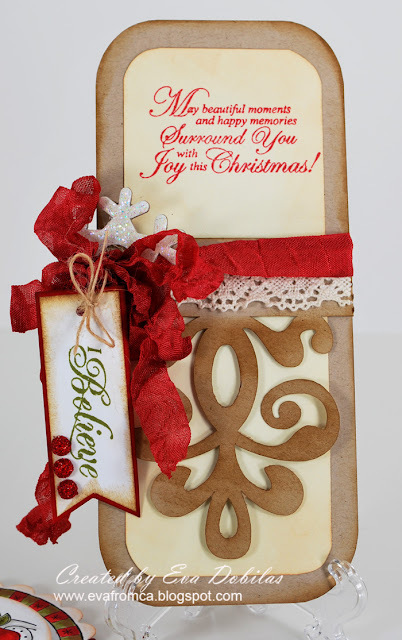 Today I am sharing a card made with two of the recently released JustRite Stampers stamps, the Groovy Snowmen and the Christmas Nested Sentiments and Words. Here is my little card I made. 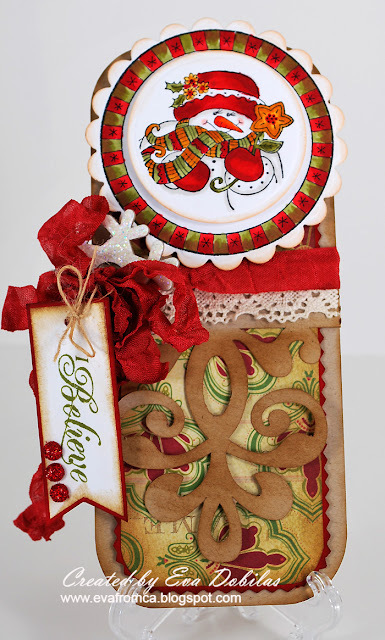 I choose to work with both my Silhouette, which is how I cut out my card and of course I used my Spellbinders to cut my snowman and border images out. The designer paper I used is Making Memories new Christmas release papers, which I think is so beautiful. Thank your for stopping by and now head over to the AMAZINGLY TALENTED KAZAN's blog to see what gorgeous creation she has waiting for you!